The Pitch Notes is a brand new series dedicated to breaking down everything about FIFA 19. If you’re wondering what’s happening with FIFA 19, head to The Pitch Notes. 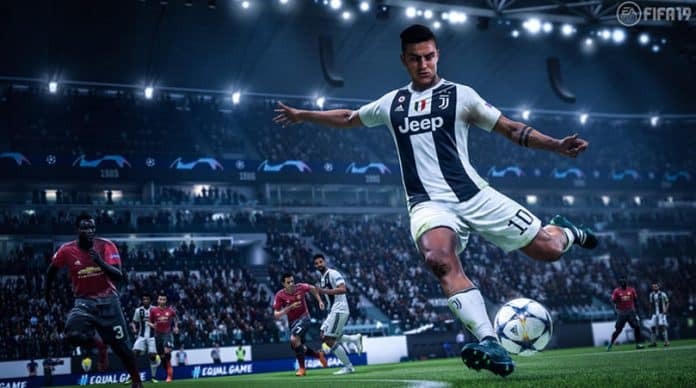 The first entry into The Pitch Notes is a FIFA 19 gameplay deep dive that is addressing a lot of the FIFA community’s concerns. Here, the dev team is talking about four major innovations in FIFA 19: Timed Finishing, Active Touch System, Dynamic Tactics and 50/50 battles. We will detail every innovation as well as we can to provide you with an informed decision on FIFA 19. The first thing we’re going to look at is timed finishing. You’ll start the shooting process and wait for your player to start the animation. When he is about to make contact with the ball on the shot, you tap the shoot button again. If your timing is correct, the shot will be more powerful and have less error applied to it which means your chance to score is dramatically increased. If your timing is incorrect, one of two things could happen. If you’re too early with tapping the shoot button a second time, your shot will be less likely to find the twine. If you’re too late, your shot won’t be affected. There will be a player indicator that will give you feedback on your attempt. Red and yellow mean the second tap was too early while green indicates that your timing was perfect. White indicates your timing was too late. Player attributes still affect shooting attempts the traditional way. Timed finishing is just an added layer to the shot attempt. Someone with a high shooting attribute will already have a better shot than a low attribute thus meaning their timed finishing will also have better results. The active touch system is also new for FIFA 19. Active Touch System (ATS going forward) is a complete rewrite of when and how the game calculates every time a player touches the ball. This system promises to bring more animations in terms of variety, fluidity and responsiveness. There are some new mechanics coming with ATS as well. Flicks can now happen by pressing the right stick. You’ll now be able to flick the ball at any time and in any direction. The longer you hold the stick, the longer the ball will travel. Disguised ball control is another new feature of ATS. You can use this control to fool defenders. Using the R1 (RB on Xbox One) and the left stick, you move said stick in the direction the ball is going. Tactic controls are also getting a major improvement with Dynamic Tactics. The entire tactics system was overhauled so each tactic now has an advantage and disadvantage. A tactic like, high pressure, has the advantage of recovering the ball quicker from opponents, but the disadvantage of tiring your players out. This could create some very unfavorable situations for your defensemen. Lastly, 50/50 battles are being introduced to give a new sense of physicality when fighting for loose balls. All players have the same instinct when in a 50/50 battle for a loose ball. There are some new animations to help every battle look and feel real. Determining factors for who wins that possession battle are player attributes, requested action (like a slide tackle) and how well your player is positioned. FIFA 19 sounds like its coming together quite well. What are your thoughts on these four improvements that should bring FIFA to the next level? Let us know below in the comments.